EPUMC has a long-standing partnership with four local ministries. Things of My Very Own (TOMVO). TOMVO provides crisis intervention services to children impacted by extensive abuse or neglect as well as children who are, solely due to the lack of items necessary for sustainability, at risk of a Child Protective Services intervention. Transitional assistance includes clothing, toys, school supplies, toiletries, books, and basic necessities. TOMVO also provides enriching educational activities to at-risk children. On the first Sunday of every month, EPUMC takes up a special monetary collection during worship to benefit TOMVO. 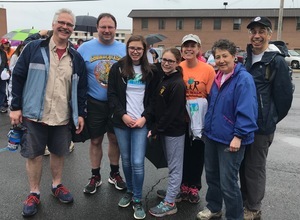 In addition, several members of the congregation volunteer at TOMVO's headquarters in the Stockade neighborhood of Schenectady. 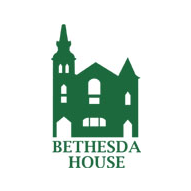 Bethesda House of Schenectady. Bethesda House is an interfaith ministry to the homeless, disabled, and economically disadvantaged citizens of Schenectady County. Located in the Hamilton/Vale neighborhood of Schenectady, Bethesda House provides a daytime hospitality center, case management, food pantry, and transitional and permanent supervised housing. Clergy and laity from EPUMC were instrumental in the founding of Bethesda House in 1992 and have continued to be involved as volunteers at the hospitality center and food pantry, members of the Board of Directors, and participants in the annual "Bowling for Bethesda House" and other fundraisers. Several years ago, EPUMC initiated the "Sock Project;" on the second Sunday of each month during the worship service, we take up a special collection of socks and money to ensure that the guests of Bethesda House have clean, dry, warm socks to wear. 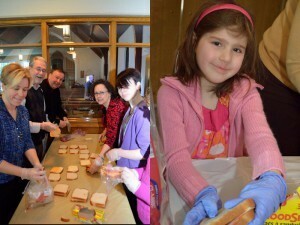 On the fourth Sunday of the month after worship, we gather in the narthex to make 200 sandwiches for Bethesda House, using deli meat and cheese provided by the congregation and bread supplied by the church. 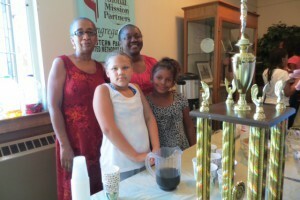 Schenectady Community Ministries (SiCM). SiCM is a partnership of 51 congregations for ministries of social service and social justice. With financial support and volunteers from its members and others, SiCM serves thousands of high-need people each year. SiCM addresses public health needs such as food insecurity and nutrition education, racism and diversity concerns, and summer recreation and education. EPUMC supports SiCM in several ways. On the third Sunday of every month during worship, a special monetary collection is taken up for the SiCM Food Pantry located on Albany Street. During the summer, volunteers from our congregation assist in the Summer Lunch Program, which provides free hot lunches to Schenectady children. In May, EPUMC fields a team for the CROP Walk , sponsored by SiCM, which raises funds to combat hunger and poverty locally and globally. Individuals from EPUMC have also volunteered at the food pantry for many years. Region al Food Bank of Northeastern New York. The Regional Food Bank collects large donations of food from the food industry and distributes it to charitable agencies serving hungry and disadvantaged people in 23 counties. From Plattsburgh to Newburgh, in urban, rural, and suburban communities, the Regional Food Bank provides over 30 million pounds of food a year to 1,000 food pantries, soup kitchens, and other agencies that feed the hungry. Several times a year, volunteers from EPUMC spend a couple hours on a Saturday afternoon working at the Regional Food Bank, located on Albany-Shaker Road. 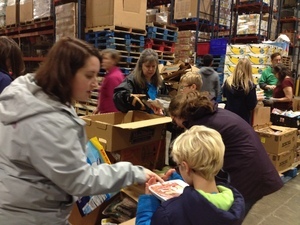 We help to sort and pack food and household items for shipment to the frontline agencies. For more information, contact Trish Roeser. EPUMC also hosts three service organizations that minister to our community. Circle B. Circle B formed in the early 1940s when a group of women got together several evenings a week and rolled bandages for the Red Cross during World War II. The name honors their founder, Belle Bielman, a member of EPUMC. Later, they started doing crafts and selling them, giving the money to help the church. 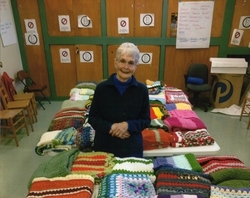 Today, they meet monthly at the church to knit and crochet lap robes, prayer shawls, and baptismal shawls, which they donate to nursing homes, rehabilitation centers, and individuals. Their mission is to make people feel good and to let them know we are thinking of and praying for them. New knitters and crocheters are always welcome. On fifth Sundays of the month, the congregation is invited to donate knitting yarn and money to support the Circle B ministry. Daija's Dolls. 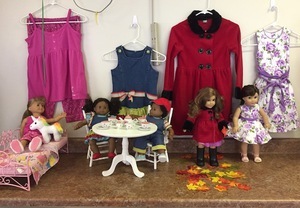 This ministry, a labor of love of a member o f our church family, restores American Girl dolls and other toys and makes them available, at no charge, to children in kinship and foster care settings. The workshop is located at the end of the education wing of the church. You can support this ministry with donations of needed items or as a volunteer. For more information, visit the Daija's Dolls Facebook page. 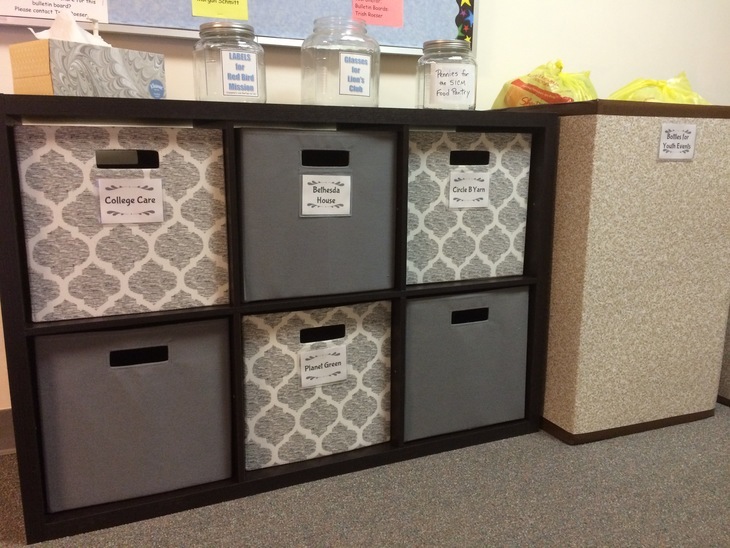 Throughout the year, the Donation Station located in the hallway between the narthex and the education wing accepts donations of items to support ministries in the church and in the wider community. If you have questions or would like to help with any of these collections, please contact Trish Roeser. Little Free Library. EPUMC hosts a Little Free Library near the Palmer Avenue entrance. Passersby are welcome to take a book from the library, which was built by EPUMC members. Users are also encouraged to place books in the library for others to enjoy. We have found that more books are taken than donated, so EPUMC maintains a back-up supply of used books for all ages to replenish the library as needed. Click here to learn more about the Little Free Library network. Over the past six years, EPUMC has sent a total of 2,800 box tops and 1,200 soup labels. Please continue to clip and save these items for our collection. This may seem like a small number of labels, however, over the years, Red Bird Mission has collected enough to qualify for a number of vans. Each van is a MILLION Box Tops! Red Bird Mission and Clinic have been providing ministries in this region of the Appalachian Mountains since 1921. Today the need remains critical in this isolated, distressed, rural area. Chronic poverty, lack of jobs, poor housing, and rugged mountainous terrain pose obstacles to a fuller life for the residents of this area. Red Bird Mission and Clinic strives to meet these needs through ministry in five areas: education, health and wellness, community outreach, economic opportunity, and housing. Click here to find out more about Red Bird Mission. Eyeglasses for Lions Club. We also have an ongoing eyeglass collection through the Lions Club. This past year, at least 20 pairs of glasses have been passed on to the Lions Club. Any kind of eyeglasses, frames, lens, or cases are accepted. Thank you for helping others who cannot afford this vision care. Pennies for Mission Focus groups. We collect pennies (and any other coins/bills) for our Missions Focus groups (TOMVO, Bethesda House, SICM). Every little bit helps, so keep emptying your loose change in the jar! Deposit bottles for youth events. Bring your empty, clean deposit bottles and cans, place them in the large bins at the Donation Station, and let the church take them to the redemption center. The proceeds will be used for activities to support our children and youth. Socks for Bethesda House. New socks for the guests of Bethesda House can be dropped off at the Donation Station any time. Remember that there is also a special collection for the Sock Project every second Sunday. Yarn for Circle B. Knitting yarn to supply Circle B for their prayer shawls and blankets can also be donated any time at the Donation Station, in addition to the special collection taken up every fifth Sunday. Planet Green electronics recycling. Have empty inkjet cartridges, cell phones, video games, tablets, readers, or cameras that you don’t know what to do with? Now you can help our church and the planet by bringing them here to be recycled. We are participating with a company called Planet Green Recycle that accepts these and other small electronics for recycling and pays us for collecting them. Click here to see a list of items that Planet Green accepts and the amount that the church receives. NOTE: Planet Green will also accept inkjet cartridges that are not included on the list as well as remanufactured cartridges; the church will not get reimbursed for those items, but they will still get recycled. No laser/toner cartridges, please. EPUMC administers a GROWTH Fund(Gifts, Renewal, Outreach, Witness, Talents, & Help) that awards grants to organizations and individuals for projects that are consistent with EPUMC's mission, vision, and values. An internal GROWTH Committee reviews applications twice a year. The deadlines for submission of applications are March 31 and October 31. Completed applications can be mailed to the GROWTH Committee, Eastern Parkway United Methodist Church, 943 Palmer Avenue, Schenectady, NY 12309 or dropped off at the church office. Click here to download the application form. Applications can also be picked up at the church office. Local, national and international organizations have received funding, but local groups that may not receive other set funding have received preference. Preference is also given for new projects, programs, or initiatives with potential to continue with other funding sources in the future. Funds are not meant to support an organization's general expenses. The amount of funding available varies each year, and there is not set amount to request. The Committee has approved grants $800 to $10,000 with a majority of awards being between $1,500 and $3,000. Be sure to include proof of non-profit status with your application. EPUMC invites and encourages organizations that receive funding to reach out to the church to share the results of the grant, including visiting the church to share with the congregation, especially if there is a way for the congregation to become connected as volunteers.